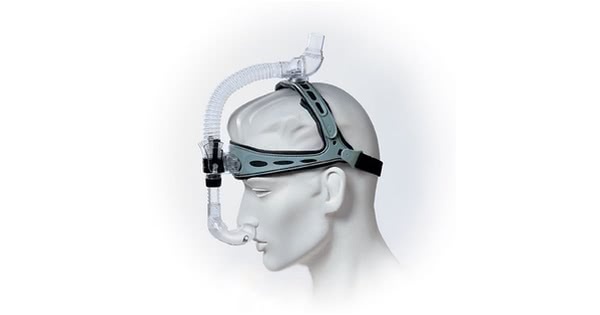 Newer Model Available: ComfortLite 2 Cushion and Nasal Pillow CPAP Mask with Headgear.
" nice headgear, nice nosegear. Slept well w/ no problems. Would recommend this item~~ "
This mask offers two interchangeable cushions to deliver maximum comfort and choice in a minimal contact mask. It is the Original Comfort Lite mask. It has since been replaced with the Comfort Lite 2 Mask . However, a few still prefer the original. 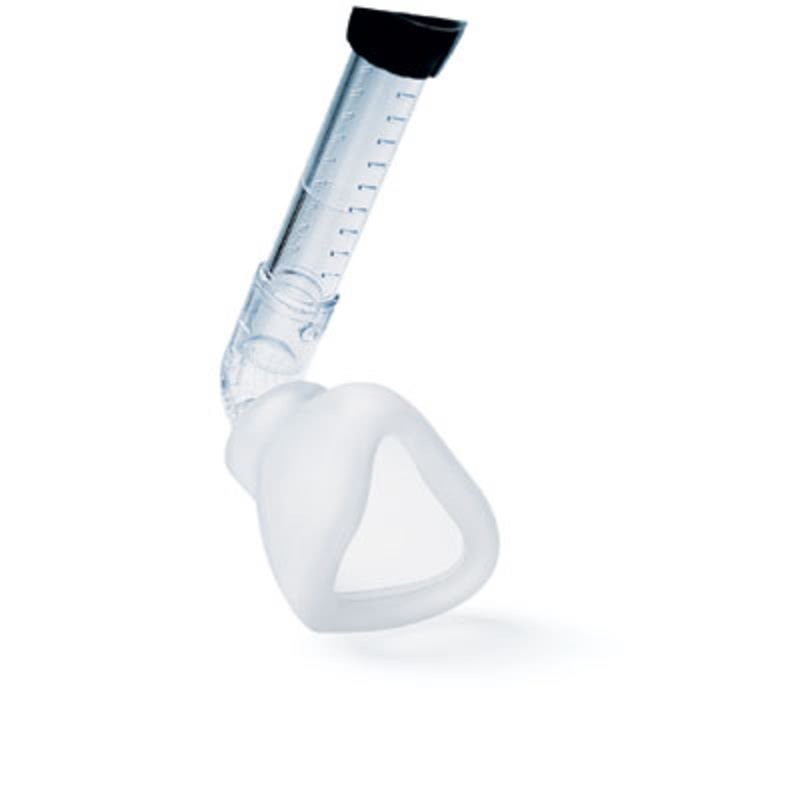 The ComfortLite is ideal for those who want an alternative to a traditional nasal mask. 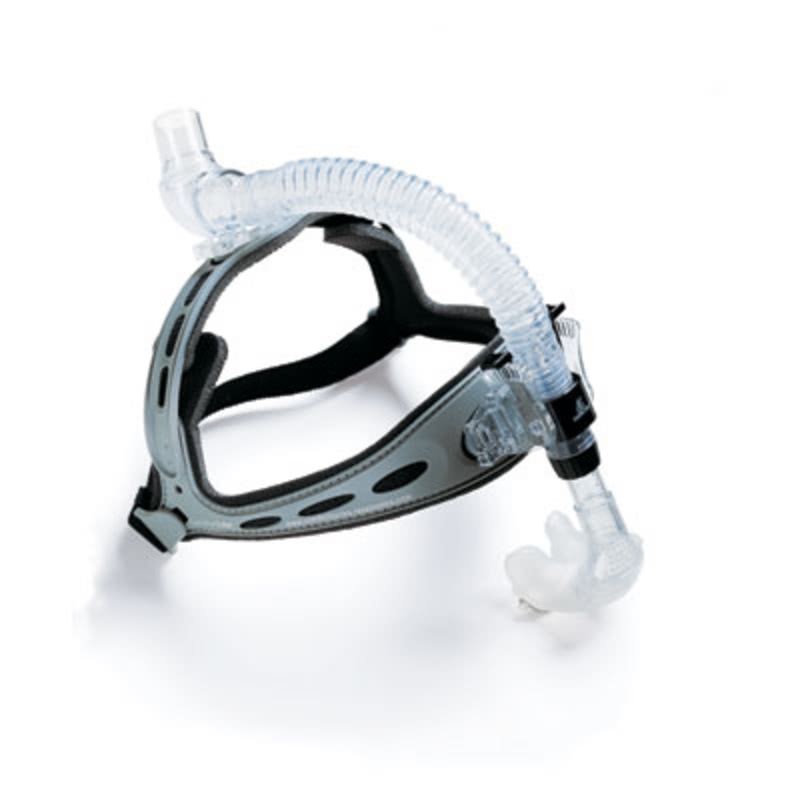 It offers a unique mask and headgear to minimize facial contact and reduce pressure points. This makes the ComfortLite just right for those seeking less bulk or weight on their face. It is also perfect for patients with skin sensitivities or who feel claustrophobic with a more traditional mask. 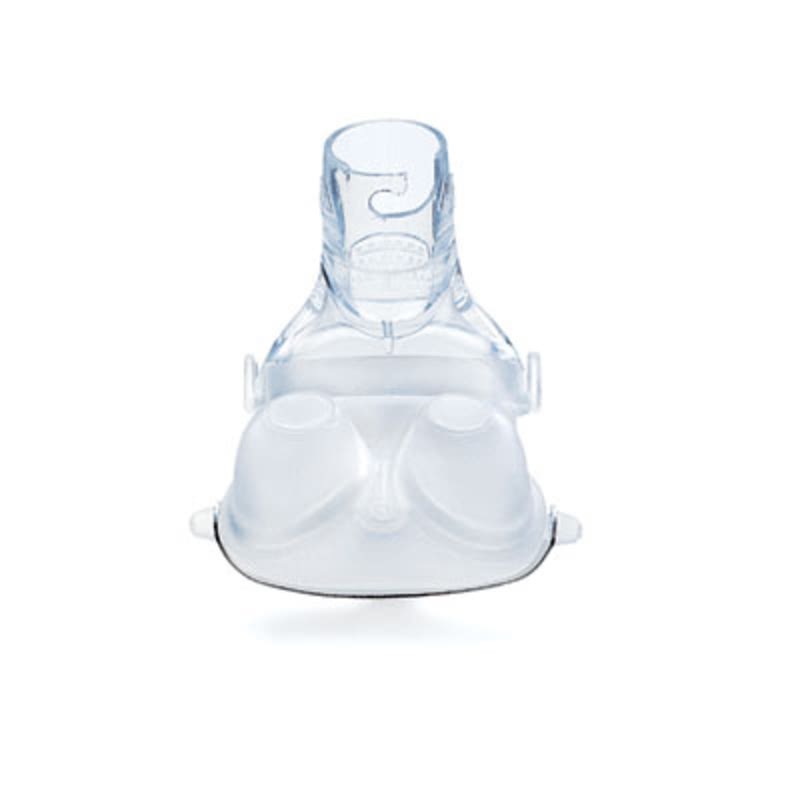 The ComfortLite comes with two nasal interface options the pillow-like Direct Seal cushion that offers a comfortable seal without insertion into the nostrils, and the Simple Cushion with its small, tip-of-the-nose interface. This exclusive mask system offers personal adjustability to help patients find the best seal. This excellent system offers a complete nasal seal and mask system in one package. It includes one headgear, a medium mask and a large mask, as well as 2 different sized nasal seals, either sizes 5 and 6 or sizes 4 or 5 . There is a great system within these included options for almost every patient. This item is no longer available. 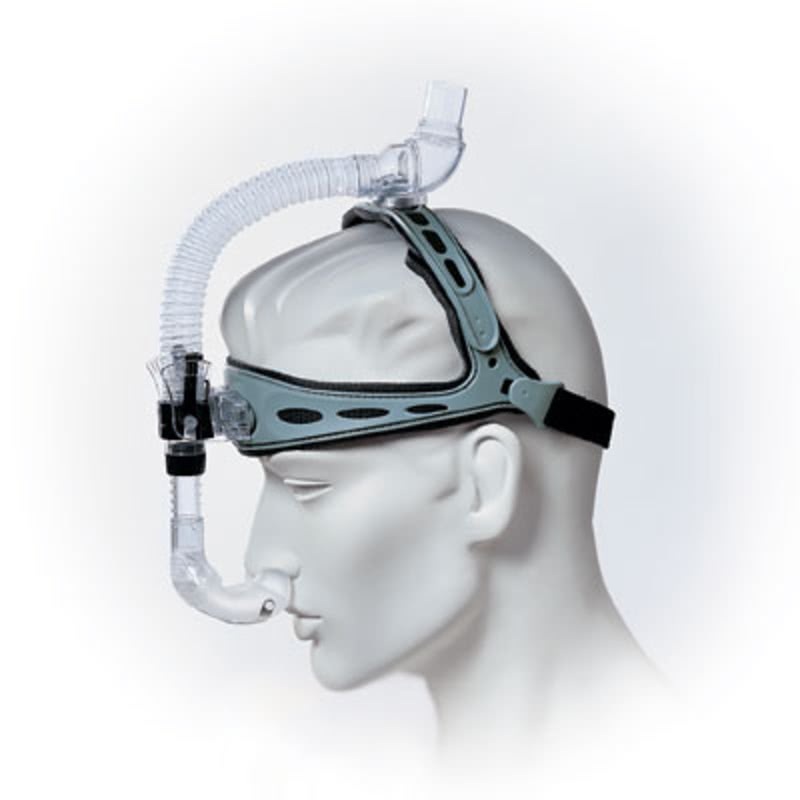 For a replacement mask, please use the following link: ComfortLite 2 Nasal Interface. 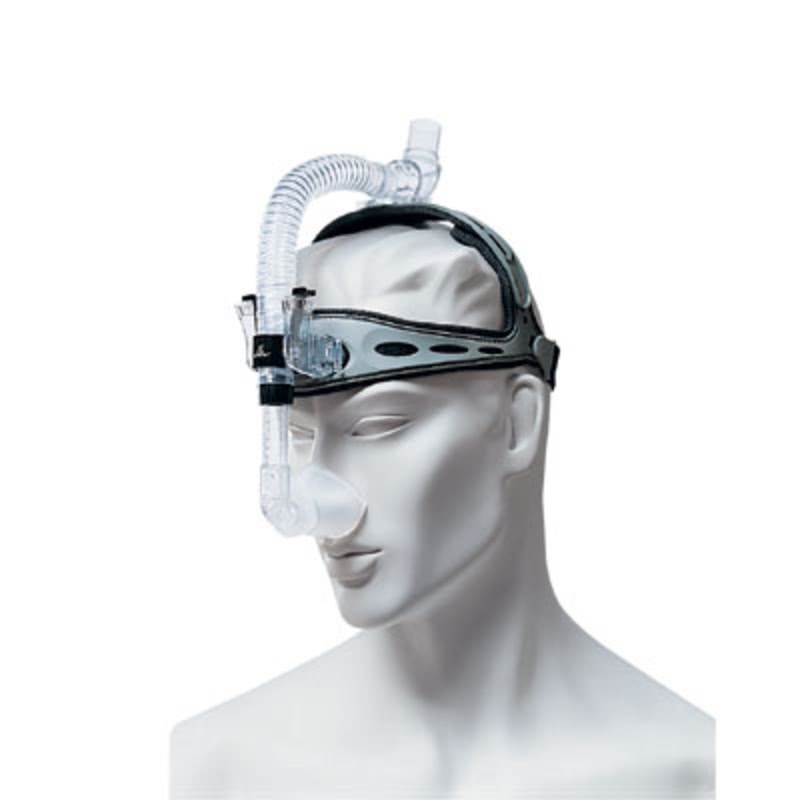 Respironics has cleared this device for use with their Auto CPAP machines. After testing this system on our most difficult to fit faces, we were very impressed with the performance of the both the mask and the nasal seals. We struggled to determine which we liked best, nasal seals or mask. It is good. It is comfortable. Buying the correct size system is easy. Average size men will likely find either system has the seals to fit them. Women, even large women should go with the small-medium. Very large men should choose the medium-large.